The Boston Boys have been involved in an interesting residency at tech company Zoo Labs in San Francisco. A fairly summery feel this week with a couple of tracks from the German Emerald and Doreen label. They specialise in music at the more interesting end of the scale. Foof Records supply differently interesting music and we’ve a couple more tracks from the excellent Foof Yourself Vol 1 =sampler album from Isaw and this from A Blossom Fell. A Blossom Fell are a 6-piece formed in London in 2010. They come from a creative collective of writers, filmmakers, actors, musicians, artists, DJs and designers and have spent the years since their inception gigging extensively around London and the surrounding area, combining high-profile support slots with many headline shows. Their sound revolves around the disparate elements of 3 sweet-yet-soulful female voices at the front, specialising in colossal slabs of skyward harmony, and the dark jam-band atmosphere created by hazardous chunks of guitar, bass & drums at the back. Add to the mix a wider spectrum of synths, glockenspiels & percussion and the end result is an explosive tempest of punk energy and raw, sprawling beauty. 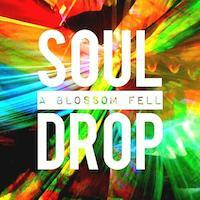 Their first full-length release on Foof Records is ‘Soul Drop’ which was recorded live in a studio in North London to capture the energy of their live shows in 2012, before the band headed down the musically more expansive path they are currently now exploring. They hope to have another release before the end of the year, and their Facebook page contains details of all upcoming shows. 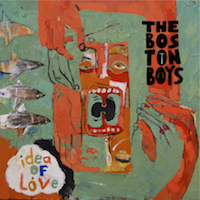 The Boston Boys formed in Boston, live in Brooklyn are among a new wave of musicians employing tech business models as an approach to making music and making money doing it. “Idea of Love” releases to digital and online stores on May 20 and interactively on the new music app, Sonarc, developed by music collaboration software company Musikara. Sonarc allows you to rearrange the sections of music played by each instrument within a song into your own creation. Using an innovative circular interface designed to allow time to flow through the music in any direction, users will be able to connect with The Boston Boys’ music like never before. This follows a ten date run in Colombia, South America from May 4-14. The boys will spend three days in the cities of Bogotá, Manizales and Armenia leading master classes as well as performing a series of public concerts, all sponsored by local partners in each city and the US Embassy in Bogotá. This comes through American Music Abroad, a cultural exchange program sponsored by the U.S. State Department. Past alumni include Dave Brubreck and Louis Armstrong. Mandolinist, guitarist, and lead singer Eric Robertson initiated the band as a student with fellow graduates of the Berklee College of Music in 2012. He, along with multi-instrumentalist Duncan Wickel, bassist Josh Hari, and drummer Nicholas Falk fuse their backgrounds in soul, bluegrass, pop, jazz, and rock into entirely original layers of sound. After the Emerald & Doreen label in Berlin dropped some great chill wave tunes of Spirit Animal last year with “Stay High” (EDR028), the label is all set to go for five new originals. This time, Justin Schultz comes back as “ANIMAL HOUSE” and clearly set another pace. 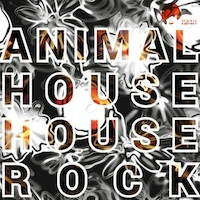 The “House Rock” album surprises with clubby beats, funky sounds, punchy baselines and a lush production. “What Goes Around” comes around like a “Charlatans-Tune” in a Garage-styled guise. It’s a crisp and clean approach to a Poptune. Not a single note is wasted. Listening to the easy-going vocal-line feels like this melody has been in your head for ages. You can now safe it to you collection. But this won’t keep it from spinning in your head. Playing for Change have released their latest video in the Song Around The World series, this time featuring Keith Richards in collaboration with Roberto Luti, Titi Tsira and a number of worldwide musicians on a rendition of his reggae song, “Words of Wonder,” off 1992’s Main Offender. This video also leads into a cover of Bob Marley’s “Get Up, Stand Up,” featuring Keb’ Mo’, Mermans Mosengo, Aztec Indians, Natalie Pa’apa’a of Blue King Brown, and Jamaican singer Sherita Lewis”. It’s another great example of world-wide collaboration but I’m a little perplexed that exactly the same video should appear in NME as an “exclusive” with not so much as a link to PFC. Here it is on the PFC site – take a look. I love that the artists all get a mention – and where they are from. Richards is filmed sat on an exotic looking beach yet his location is given as Dartford, UK which is at the muddy end of the Thames Estuary. I suppose it is the town of his birth. Sweet. 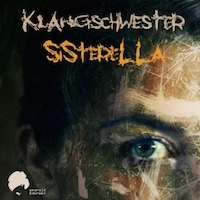 Klangschwester is a figure you get solo or as part of KLANGLIEBE and Go Astray. She is a singer, guitar player and producer from fantasy city Klangstadt, Germany. Inspired and spurred, she puts her voice into some rainbow bubbles, watches them flying over the sound, and waits for the moment for them to burst. Technically, the EP consists of 10 tracks: six original pieces for once. Then there are the versions: Modeplex remodel „Recognize me“ to an abstract cloud jacker while 69 North takes it into the deep sea. GIuid remix the same tune and leave it with the cloud (swooshing the beats far behind), while her music buddy Karl Gründer takes the title track to the big floor. 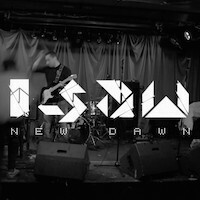 ‘New Dawn‘ is a brand new EP from indie/hip-hop crossover band Isaw. Their energetic live show brought them to the attention of Foof Records during the summer of 2013, after which they delivered this 4-song splurge of layered beats, socio-politically-charged lyrics and, as ever, a rather charming way with a chorus. All tracks are written by Vernon James & Demetrios Savva, and produced by Demetrios himself. Track 1 on the EP is a new version of a older track, which originally appeared on their previous ‘We Saw‘ EP, this time remixed by renowned London-based drum’n’bass DJ/producer Temper D.
Rich Palmer has let the AMP members know that he is ceasing production of Audio Gumshoe. Rich is one of the original music podcasters from the very early days, he has also been a pillar of AMP for way longer than I’ve been a member and has always been generous with help to less experienced members. For quite a few years he took care of posting the AMPed show every week. His quirky Audio Gumshoe show adopted a different and entertaining approach to music presentation and was invariably a delight. He’s focusing on his own band and other projects in which I wish him everything he aims for. 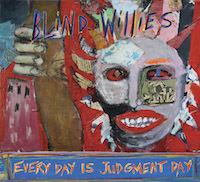 A second track this week from the Blind Willlies Big City is the first single off their new album Every Day Is Judgement Day. Blind Willies is a San Francisco rock Americana band led by singer/songwriter Alexei Wajchman. The band began at San Franciscos High School of the Arts as a duo playing covers of American folk songs and Alexeis originals which he began writing when he was 15. 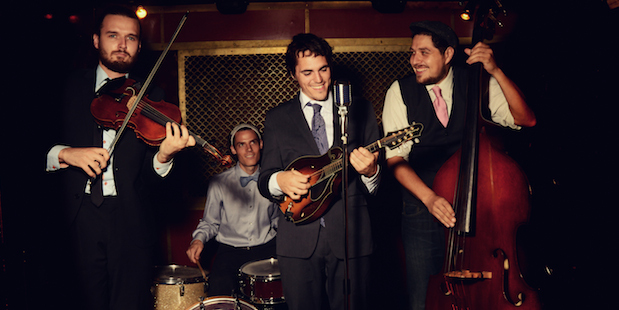 After their professional debut at San Francisco’s Hardly Strictly Bluegrass Festival, the bands first two releases of all original songs, The Unkindness of Ravens (2007) and Everybody’s Looking for a Meal (2008), were highly praised. It’s very very nearly that time. In fact The Great Escape starts tomorrow morning. By the time the show is uploaded this week, I’ll be on my way to Brighton for a few days of music, interviews, fun and games with Pete Cogle and Grumbler, too much beer and way too many kebabs (you ready for us Albion). The festival line-up looks good but other than shows where I’m meeting the artists, I’ve not got anything planned. I guess I’ll get stuck into that on the train down to Chez Codger. You’ll recognise us anyway, three grumbling old men laughing rather a lot whilst sniffing out the best of music that TGE has to offer. We might even go for a paddle to offset all the toil and sweat. A suitable track from the wonderful Chinese Man to act as a theme for this week of long days and even longer nights with Codger and Grumbler at The Great Escape. At our ages, each day gets harder to start but we wouldn’t miss it for the world. If you’re in Brighton this week, give us a shout by email and we’ll meet up for a small refreshment. 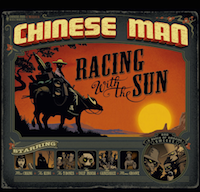 This track is from the superb Racing with the Sun album – which Codger spotted as a promo copy at The Great Escape a couple of years ago I highly commend you to go and buy it immediately. It really is one of the best albums I’ve had the pleasure of hearing in recent years. They have a new album The Groove Sessions Vol 3 out now and are playing Nancy, France tonight, Dijon on Friday and Rouen on Saturday as part of their 10 Years tour which I take to be an anniversary rather than the length of the tour.